Sunday, December 20, is the last Sunday before Christmas! Before church, make some Christmas card for your Sunday school teachers. I’m sure they will love them! 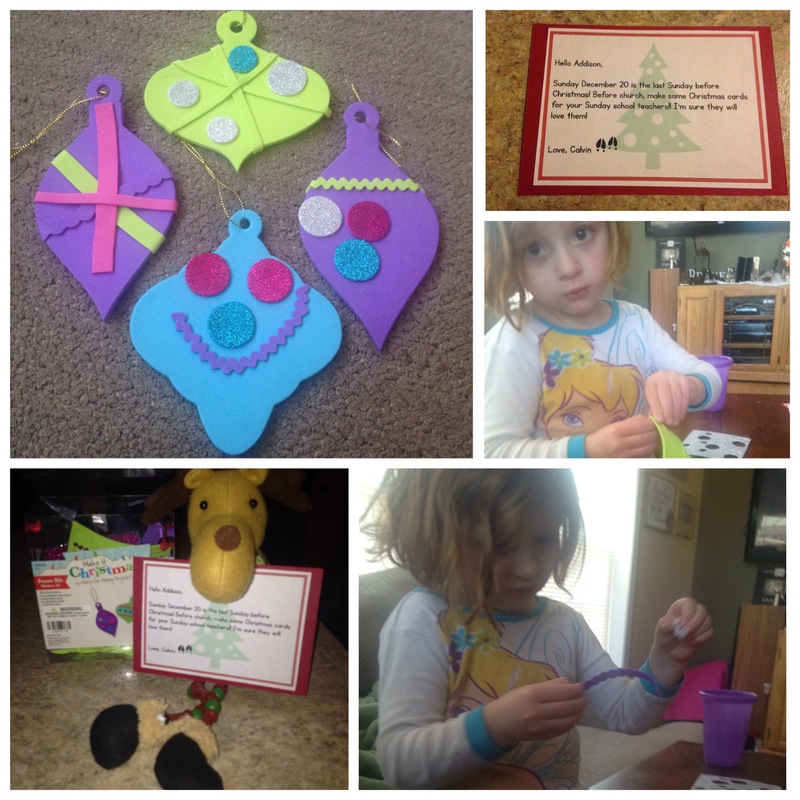 We made some more of the cute ornaments for her Sunday school teachers. They enjoyed recieving them!